There’s no question that being a pilot is an exciting choice, whether you are flying for your own enjoyment or as a career, but what are the most popular reasons for getting into this industry? Monmouth Executive Airport takes a look at the reasons people decide to become pilots. The view: The view out of an aircraft is like nothing else on earth, transforming even the most everyday landscape into a new world. The family: Pilots have a certain reputation all over the world… for being a family. Pilots are a great resource for advice, support and a sense of belonging. Career choices: As a pilot, you have a range of career choices you can make, from flying commercial or private jets, to working with wilderness and rescue services. It’s worth mentioning too that pilots are of value all over the world, giving you a chance to explore new horizons. The challenge: Being a pilot is all about being calm, cool-headed and quick when it comes to facing critical decisions, and the wrong choice can get you in serious trouble. These challenges are what draw top people to the industry to push the standards of aviation. The knowledge: Learning to be a pilot is nothing like learning at school – it’s a whole new set of varied skills that you’ll have to put into practice each day, making you smarter and more capable. From learning how to plan properly and make sound decisions, to understanding the workings of aircraft, it’s a whole new skillset to be developed. First solo flight: Training to fly is a daunting experience, and there’s plenty of book learning too, but if nothing compares to the experience of your first solo flight, then you have what it takes to become a pilot. A new perspective on life: One thing that stands out about flying is the realization of our true place in the world, and this new perspective of the earth’s significance is one of the primary driving forces behind the careers of many top pilots. 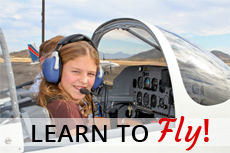 You’re never too old to learn to fly and achieve your dreams – and Monmouth Executive Airport’s flight school in New Jersey will help you get there. A safe, stress-free airport with uncrowded airspace and the longest private runway in the country, our airport offers you an opportunity to really relax and experience the joy of flight – a unique experience for flight schools in NJ.